Terry is our Celebrate Recovery Pastor. He and his wife, Sally, have four children. 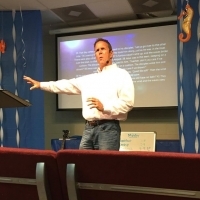 Terry is also a local business owner, evangelist and works in prison ministries.